How Machine Learning Benefits Businesses? In recent decades, Machine Learning has emerged as a key component of automation. With the proliferation of the Internet, growing online presence and connected devices generating vast deluge of digital information, business organizations increasingly rely on algorithms to solve otherwise expansive problems with good guarantees toward a solution. For instance, consider Google’s Web query search mechanism. When a user types in a search query, it can have a diverse context and purpose to it. The query text itself doesn’t necessarily elaborate on exactly what information the user requires. Google is therefore required to “know” which Web pages are the most relevant to the user’s search query. This knowledge can come from several sources, or factors, that lead correctly toward intended search results. These parameters include the search query text, user’s browsing history, the content and URL structure of relevant pages, the browsing pattern of other users requesting same or similar search queries, frequency of query searches and a range of factors only known to Google. At any given moment, millions of new Web query searches are requested to Google’s search engine, with high user expectations for Google to deliver the most relevant Web pages. The sheer scale of Google’s search engine user base makes it impossible to perform the search query tasks manually. The service therefore relies on Machine Learning and automation to understand user requirements of the search query and rank the most relevant Web pages accordingly. Machine Learning refers to the study of algorithms and models for computers to perform tasks without explicit instructions. It is a discipline of Artificial Intelligence (AI) that predicts the system output through its experience of processing the data, without previously having known the system behavior model. The algorithms simulate human learning capabilities that help the system automatically improve through this experience and yield accurate output based on new system input. Information received from the external environment is processed within the system to create knowledge, which is then used to improve its performance to deliver accurate output in response to new input. While Machine Learning sounds like a futuristic technology that has recently prevailed in the enterprise IT market segment, its history dates back to late 1950s. IBM researcher Arthur Samuel first developed a Machine Learning program to that successfully learns to play the game Checkers, among other similar contributions in the decade. By 1990s, Machine Learning was recognized as a separate subset of AI and has since produced invaluable technology use cases in virtually every industry vertical. In the modern era, the advancements in Machine Learning adoption for business use cases are primarily enabled through improvements in computer processing technologies. Computation-intensive Machine Learning algorithms can be applied to large data sets with lower processing time. The cost of data storage has reduced, allowing organizations to access large volumes of data that hide patterns of profitable business knowledge and are unveiled using Machine Learning technologies. Many Machine Learning algorithms and resources are accessible through open source channels. Services such as cloud computing allow businesses including small startups to use Machine Learning to deliver improved services to end-users without having to invest upfront into the required infrastructure resources. The technology is already reaching maturity and business organizations can take advantage in the following ways: 1. Real-Time Business Decision Making Business organizations rely on accurate information to make the right decisions at the right time. In today’s connected world, extracting the right information from the ever-evolving Big Data would be impossible without intelligent technology capabilities. Machine Learning allows organizations to transform large data sets into knowledge and actionable intelligence. This information can be integrated into everyday business processes and operational activities to respond to changing market demands or business circumstances. As a result, business organizations taking advantage of Machine Learning can keep on top of the competition and take proactive measures to maintain their competitive edge in real-time. 2. Eliminating Manual Tasks For most part of the 20th century, industrial automation focused on using machines to reduce manual tasks that were predictable and repetitive. Industrial automation was remained ineffective to replace manual operations that required considerations for variable parameters, external factors and internal system changes that were unpredictable. The introduction of Machine Learning technologies helped fill this void through predictive models applied to data points that change in real-time, delivering decision support and executing automation tasks accordingly. In recent decades, Machine Learning applications have evolved beyond industrial automation and support software-based business services to business customers as well as end-users within the organization. 3. Enhancing Security and Network Performance Cyber-security threats, network intrusions and anomalies often occur in real-time, with little warning beforehand. For organizations to maintain network security, any unwarranted networking behavior must be identified proactively, before the intrusion escalates into a full-force security attack, data leak and service outages. Machine Learning algorithms help monitor network behavior for anomalies in real-time such that proactive measures are automatically executed. As Machine Learning algorithms self-train, the state of cyber-security improves continuously, adapts to changes and replaces manual research and analysis to unveil security-related insights specific to every organization’s network. 4. Improved Business Models and Services While large enterprise thrive by dominating the market share, many business organizations seek competitive edge in other domains to remain profitable. In the case of small and midsize business organizations, that edge usually comes from innovative products, services and business models. For instance, organizations such as Uber and AirBnB leverages Machine Learning technologies from the very beginning to realize their business models. Machine Learning empowered these companies to guarantee accurate search results and customer experience. The same can apply to organizations of all sizes and verticals considering the vast use cases of Machine Learning solutions. 5. Reducing Operating Expence Consider the case example of customer support. Business organizations with a large user-base often struggle to keep with customer demands for fast and effective customer support delivered via phone or the Web-based chat. It requires employment of a large number of customer support staff, expensive telephone and connectivity service, and a complex strategy to optimize speed and effectiveness of the support. With Machine Learning technologies such as chat-bots and automated customer response systems, the tasks of identifying customer problems and guiding them to the right information can be performed automatically at scale, at a lower cost, high accuracy and most importantly, without having customers to wait in long ques for the support agents. These advantages of Machine Learning technologies can be applied to a variety of use cases, especially when data is at the core of the service offering. 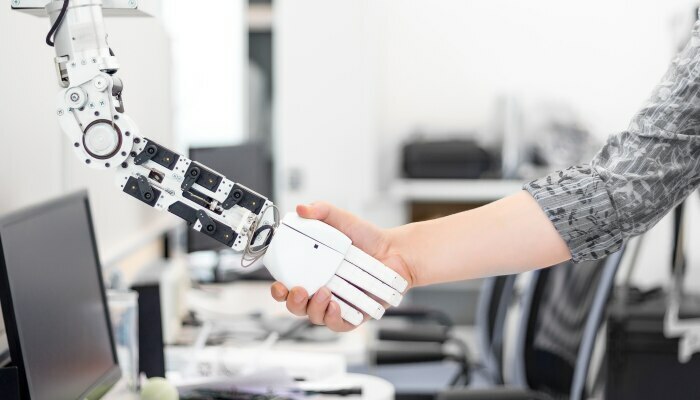 The technology is fast replacing manual operations in the enterprise market segment, and SMB's as well as large enterprises are well positioned to take advantage of Machine Learning solutions.